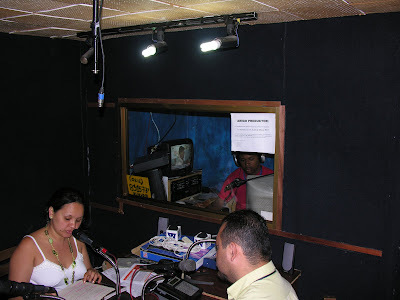 Daniel Del Solar recently visited a small radio station in Venezuela in the region known as Los Teques. 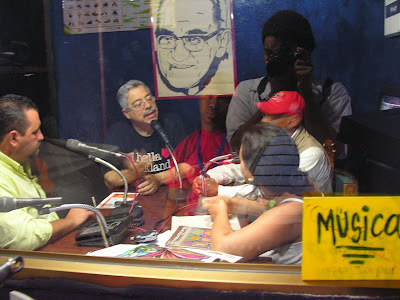 The studio has a large portrait of Oscar Romero, the priest who was killed by death squads of the right wing government in El Salvador. 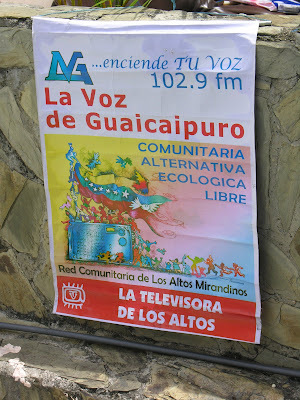 The radio station has an emphasis on ecology. Daniel del Solar was interviewed on their afternoon talk show. 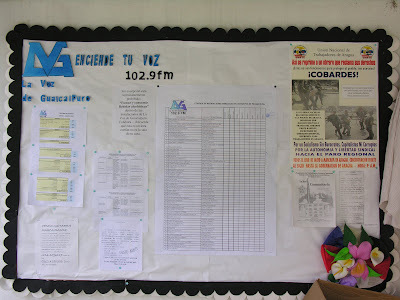 Their bulletin board lists tasks to be performed by volunteers and scheduled meetings. This is their disk and record archive. 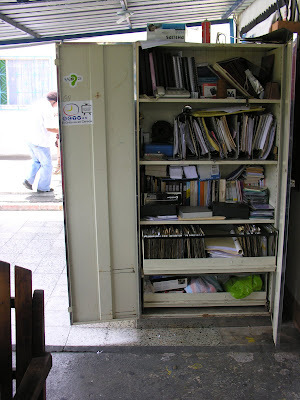 They have three small rooms in a mountainous neighborhood outside of Caracas. This Guaicaipuro station is very small. This is the engineer. 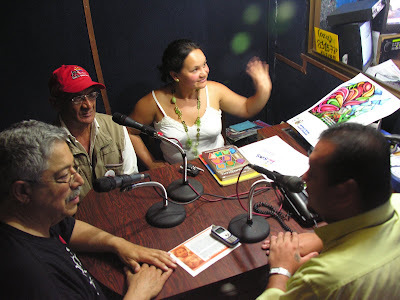 Community radio in Venezuela has been growing in the past few years. 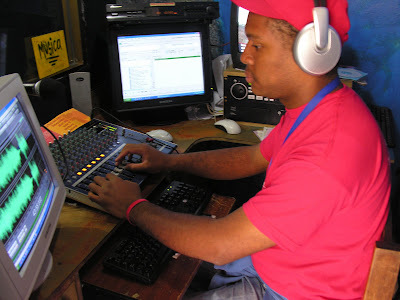 The spectrum which was used mostly by large commercial stations is now divided between many small community radio and tv channels. A few weeks ago the Venezuelan government denied the renewal of a license for transmission of RCTV, a large commercial station, charging that the station had been instrumental in fomenting and supporting the attempted coup. This caused a great deal of reaction by the corporate press and many NGOS in the US, who saw this as censorship. Despite those charges, that station was not "closed down" -- they did lose their government license to the public airwavess but the right wing commercial station continues with their anti-Chavez attacks on cable and the internet. The spectrum that they were using will be divided between thirty small community stations. (However this claim which I got from a response article is disputed by the comment below from the director of Artevision and a producer at Simon Bolivar University in Venezuela .) 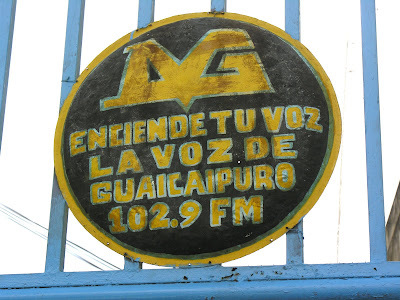 Radio Guaicaipuro is one of the many community media outlets which has been supported by the Chavez government.